“Today it was the long walk. Peter set us a circuit of up and down. My poles kept going down holes but I learned to avoid them in the next two laps. 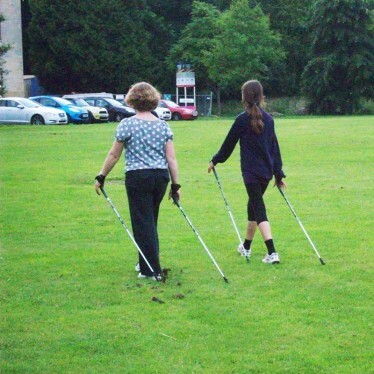 On the way back our family was imagining our camping trip all Nordic walking together. And that was the end of the course!